The Jackson Hole Airport is located at the base of the spectacular Teton mountain range. 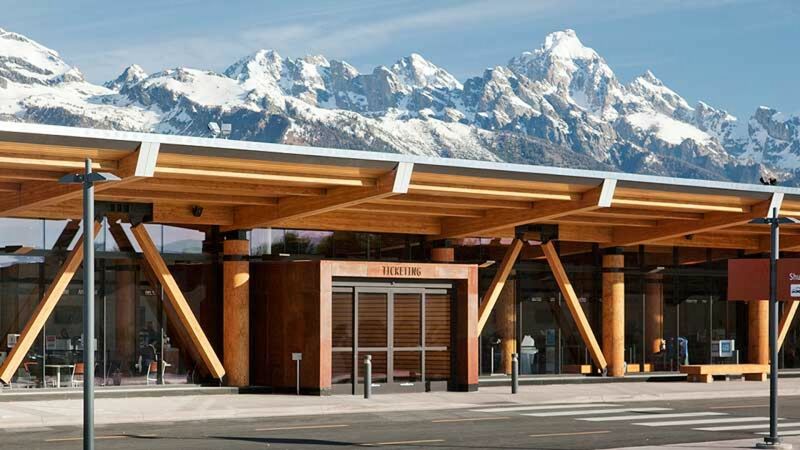 Located entirely within Grand Teton National Park, flying into the Jackson Hole Airport (JAC) is an awe inspiring start to your trip to Jackson Hole. Catch a peek of jagged, snowcapped mountains and the wide, sweeping valley that is Jackson Hole below as you land right at the base of the breathtaking Tetons and embark on your Wyoming vacation! The Jackson Hole Airport was originally constructed in the 1930’s to resemble a log cabin in order to blend in with its rugged surroundings. Designated a national monument in 1943 by presidential proclamation, the airport and surrounding area was officially incorporated into the national park in the 1950’s. The largest airport in Wyoming, it underwent a $31 million overhaul in the summer of 2009, which included the renovation and expansion of the airport’s terminal building allowing for increased flow of travelers through the ticketing area from 331 to 1,100 passengers per hour. The updated terminal also features a gift shop for purchasing last-minute souvenirs and a fantastic restaurant and bar for passengers to grab a quick drink and a bite to eat before boarding their flights back home. The Jackson Hole Airport is a short twenty-minute drive from the town of Jackson and just forty minutes from neighboring Teton Village. Non-stop air service is available from Atlanta, Chicago, Denver, Salt Lake City, Houston, JFK and Newark, Los Angeles, Minniapolis, San Francisco, Seattle and the Dallas/Fort Worth area with additional connecting flights from major airline carriers affording easy access to Jackson from anywhere in the country. 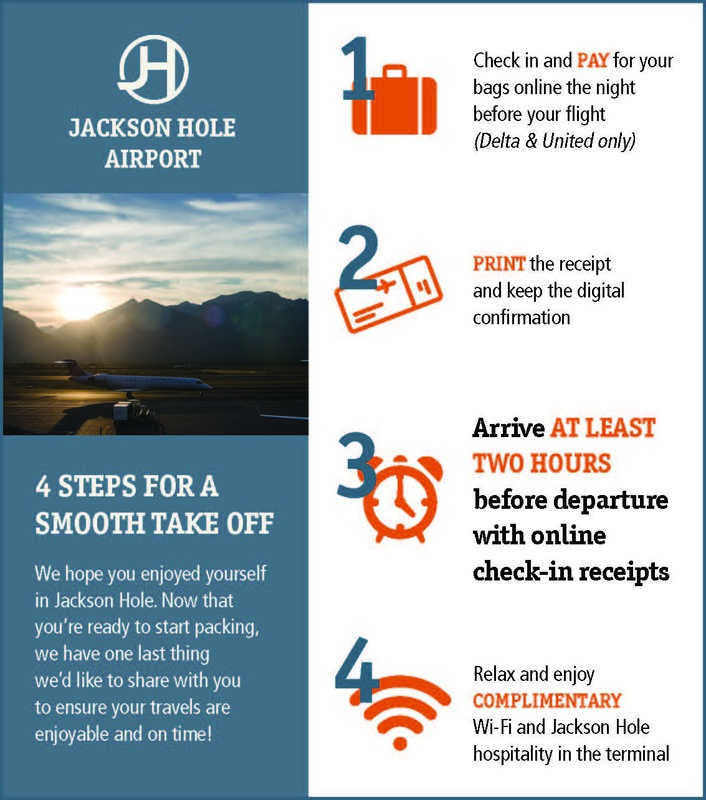 While it is recommended that travelers arrive at least two hours before their scheduled takeoff, the Jackson Hole Airport is small and easy to navigate making baggage claim upon arrival and check-in before departure a breeze. 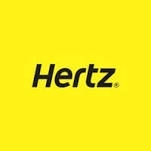 Jackson Hole Central Reservations can include car rental services in your vacation package, or assist you in arranging a taxi to transport you directly from the airport to your hotel or vacation home. For a small fee, visitors can take advantage of Jackson’s convenient and easy-to-use public bus service, which runs throughout town and between Jackson and Teton Village. For those planning on bringing their walking shoes and seeing the sights by foot, we also provide detailed maps of Jackson Hole showing the valley, the town of Jackson, Teton Village, and both national parks. Our flights to Jackson Hole often provide the best value on airfare when flying to Jackson, Wyoming. Contact the local travel experts at Jackson Hole Central Reservations and let us help you create the perfect air-inclusive vacation package for you and your family.